NEW YORK – In its 25th season of NFL coverage, FOX Sports owns the weekend with an unprecedented collection of NFL THURSDAY NIGHT FOOTBALL games presented by Bud Light beginning Week 4, in addition to an impressive slate of NFL games airing on Sunday afternoons this fall. Combined with 11 weeks of THURSDAY NIGHT FOOTBALL, FOX Sports’ 2018 NFL Sunday afternoon schedule includes 113 regular-season games, led by nine editions of AMERICA’S GAME OF THE WEEK, television’s No. 1 show for nine straight years. 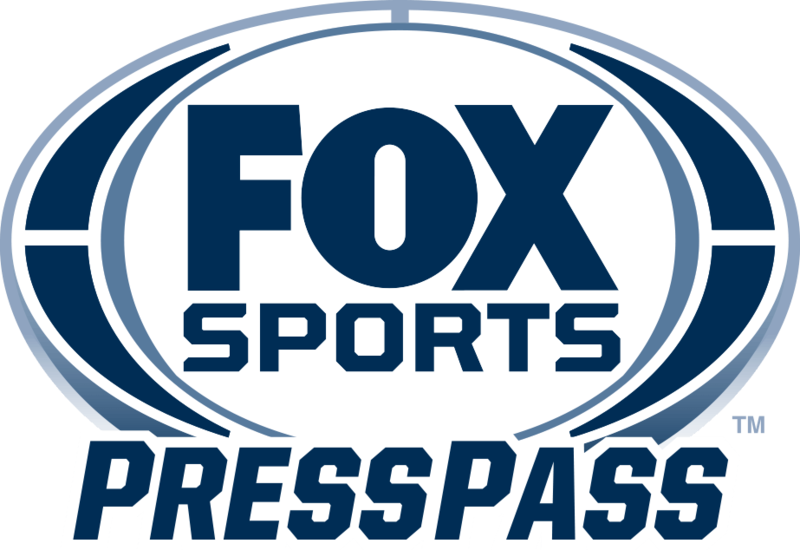 This past January, FOX Sports was awarded a five-year deal for THURSDAY NIGHT FOOTBALL that includes games between Weeks 4-15 (excluding Thanksgiving night) to be broadcast on FOX, simulcast via NFL Network and distributed in Spanish on FOX Deportes. FOX’s strong 2018 regular season schedule features 35 NFC divisional matchups – 10 from the NFC South, nine each from the NFC North and NFC West, and seven from the NFC East. AMERICA’S GAME OF THE WEEK kicks off Week 1 with the Dallas Cowboys taking on the Carolina Panthers from Bank of America Stadium in Charlotte. Other notable AGOTW matchups for the 2018 regular season include an NFC Championship Game rematch between the Minnesota Vikings and Super Bowl Champion Philadelphia Eagles (Week 5); the NFC West winning Los Angeles Rams at the NFC South winning New Orleans Saints (Week 9); a battle of “runners-up” from last season as the Minnesota Vikings take on the New England Patriots (Week 13); and the Philadelphia Eagles face the Dallas Cowboys (Week 14). THURSDAY NIGHT FOOTBALL premieres on FOX Thursday, Sept. 27 when the Minnesota Vikings take on the Los Angeles Rams from Los Angeles Memorial Coliseum. The Super Bowl Champion Philadelphia Eagles make their 2018 debut on THURSDAY NIGHT FOOTBALL with a Week 6 showdown against the New York Giants from MetLife Stadium in East Rutherford, NJ. Other notable THURSDAY NIGHT FOOTBALL contests include the Green Bay Packers heading to the Pacific Northwest for a meeting with the Seattle Seahawks (Week 11) and the New Orleans Saints battling the Dallas Cowboys (Week 13). FOX’s NFL Thanksgiving Day coverage features the Washington Redskins battling the Dallas Cowboys at 4:30 PM ET from AT&T Stadium in Arlington, Texas. Once the playoff field is determined, FOX presents live postseason coverage that includes two NFC Divisional Playoff matchups and the NFC Championship Game. Each week during the NFL season, coverage begins with FOX NFL KICKOFF (11:00 AM ET), followed by FOX NFL SUNDAY (12:00 PM ET), America’s most-watched pregame show for 25 straight seasons. Since its inception in September of 1994, FOX NFL SUNDAY has garnered 22 Emmy Awards for its production and personalities. Every week of THURSDAY NIGHT FOOTBALL, presented by Bud Light begins at 6:00 PM ET on NFL Network with TNF GAMEDAY. Beginning on Thursday, Sept. 27, FOX’s THURSDAY NIGHT FOOTBALL pregame show, simulcast on NFL Network, and live from New York City, features an all-Hall of Fame cast consisting of Terry Bradshaw, Howie Long and Michael Strahan. THURSDAY NIGHT FOOTBALL PREGAME begins at 7:30 PM ET and leads viewers to the game. NFL preseason coverage on FOX begins Thursday, Aug. 23 as the Super Bowl Champion Philadelphia Eagles visit the Cleveland Browns. Additionally, preseason NFL action on FOX includes the Cincinnati Bengals taking on the Buffalo Bills on Sunday, Aug. 26. * FOX NFL games scheduled in Weeks 5-10 are part of the NFL’s flexible schedule plan. During this period, flexible scheduling can be used in no more than two weeks by shifting a Sunday afternoon game into prime time and moving the Sunday night game to an afternoon start time. ** FOX NFL games scheduled in Weeks 11-17, are part of the NFL’s flexible schedule plan. After consultation with FOX Sports, the NFL will determine start times on these dates, with a game or games possibly moving from 1:00 PM ET to late afternoon, or from afternoon to prime time. FOX retains the right to protect some games from being moved into prime time during these weeks.